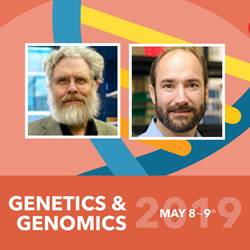 LabRoots is pleased to announce, George Church, PhD, Professor of Genetics, Director of the Center for Computational Genetics, Harvard Medical School, and Michael Snyder, PhD, Stanford W. Ascherman Professor and Chair, Department of Genetics Director, Center for Genomics and Personalized Medicine, Stanford University School of Medicine, will be joining our list of speakers at 7th Annual Genetics & Genomics, May 8-9, 2019. Dr. Church is a pioneer in the field of personal genetics and synthetic biology. His keynote presentation will take place on the first day of the 2019 Genetics & Genomics Virtual Conference, on May 8, 2019 at 7:30 AM PDT and it will be focused on Interpreting the Zero Dollar Genome via Base Editing, Organoids & in Situ Omics. Church is the director of PersonalGenomes.org, the world's only open-access information on human genomic, environmental, and trait data. He is also the director of IARPA & NIH BRAIN Projects and National Institutes of Health Center for Excellence in Genomic Science and is a founding core member of the Wyss Institute for Biologically Inspired Engineering. Currently, Church is spearheading efforts on bringing back the woolly mammoth through genetic engineering at a lab at Harvard Medical School. Church has played an important role in helping determine the three-dimensional structure of transfer RNA, a key genetic molecule, and helping develop DNA sequencing, which then led to dramatic cost reductions. Church and his team invented CRISPR for human stem cell genome editing and other synthetic biology technologies and applications. Now, his laboratory's use of CRISPR in human induced pluripotent stem cells (hiPS) is the latest contender for precise gene therapy. Dr. Church has also contributed to the Human Genome Project and he co-initiated the BRAIN Initiative (2011). He has co-authored hundreds of scientific papers, patent publication, and the book, "Regenesis.” He has received numerous awards including the Franklin Bower Laureate for Achievement in Science and election to the National Academies of Sciences and Engineering. Dr. George Church’s innovations have been instrumental in nearly all “next-generation DNA sequencing methods” and are key in today’s ongoing research. Dr. Snyder is an international leader in the fields of functional genomics and proteomics and one of the major contributors of the ENCODE project. His keynote presentation will be on Big Data and Health and will take place on May 9, 2019 at 7:30 AM PDT. Snyder’s research group was the first to perform a large-scale functional genomics project in any organism and has developed many technologies in genomics and proteomics. These include the development of proteome chips, methods for global mapping of transcription factor binding sites (ChIP-chip now replaced by ChIP-seq), and RNA-Seq to name a few. These technologies have been used for characterizing genomes, proteomes and regulatory networks. Snyder is a cofounder of several biotechnology companies, including Protometrix, Affomix, Excelix, Personalis and founder of Qbio, and he presently serves on the board of a number of companies. He is also the author of the book, “Genomics and Personalized Medicine: What Everyone Needs to Know.” Dr. Snyder and his lab have made several groundbreaking findings and advances in human genome research and continue to do so today.